I already own a Raspberry Pi model B, and I am looking for a more powerful alternative. I want it to be able to run as a server (email, file, and web) and also as a media center. I know Raspberry Pi can do these things too, but I want something faster. I also am very concerned about its support. I have found many boards that look good, but it's hard to get them to work properly. I don't want to go on and by some random board that may seem good just by reading the specifications and regret it later. What about Hackberry and MarsBoard? Their specifications seem very good. What about their support? 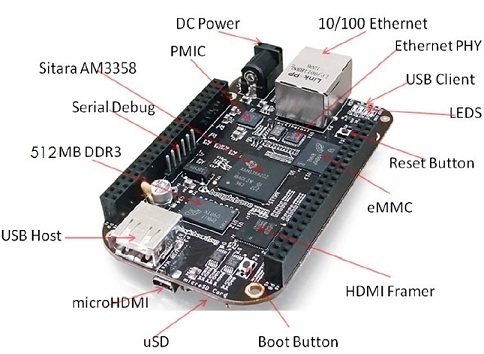 BeagleBone Black is a $45 MSRP community-supported development platform for developers and hobbyists. Boot Linux in under 10 seconds and get started on development in less than 5 minutes with just a single USB cable. From what I have heard they have a pretty large community. In my opinion it is the closest option to the Raspberry Pi community wise than any other similar device (at the time of posting this answer). Keep in mind that the Raspberry Pi is still a work-in-progress. The GUI doesn't fully take advantage of the graphics processor yet (it uses the CPU), plus many other little optimizations could be made (with soft-float and hard-float for example). The point is that lots of development is still being done, and if you one of the early owners of a Raspberry Pi (like I was), then you know lots of progress has been made since the initial launch of the Raspberry Pi. I think there has been an explosion of these things recently -- e.g. the parallella board is not even the only one to come out of kickstarter! Most (75%+) of the questions I see here are really linux oriented questions that aren't very pi specific,1 so if you keep that in mind, you have that very large community for support on anything that runs a reasonably stock version of GNU/linux (such as the pi). So, vis. 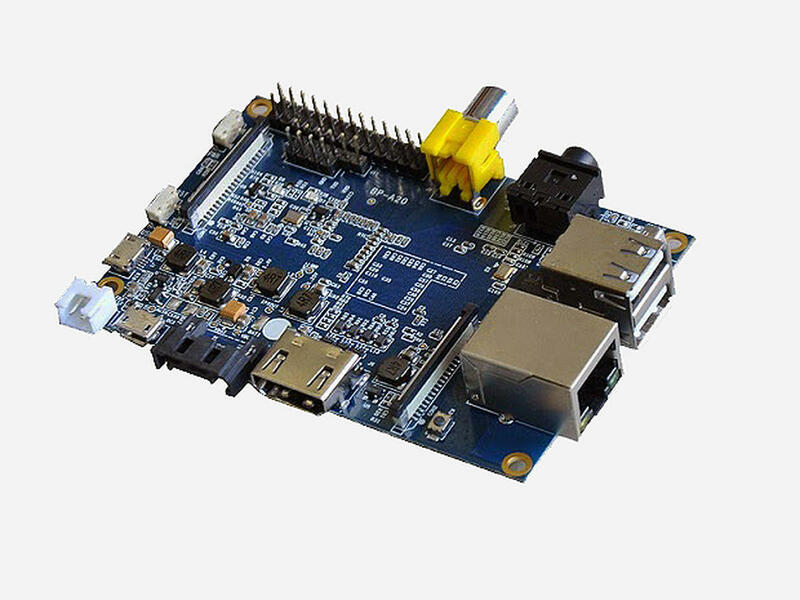 linux, some of the boards using a Cortex A8 based ARM A1X chip should have better support than the rpi because they can use the vanilla kernel source unmodified. [src]/Documentation/arm/sunxi/README mentions specifically the A10, A10s and A13. In this case, it would be easy to port any linux distro to a device based on them. I'm sure I've seen a few such things around, although I don't know how much more powerful than the rpi they would be. Unfortunately the beefier dual core chips like the A20 used by the Cubieboard 2 are in the same boat as the pi, but this is still not so bad, since (I believe) the issue is just adding some machine specific code to the kernel; the userspace should all be compilable via GCC. There are a slew of other ARMv7 processors in [src]/arch/arm, including the Armada 510 used in the cubox, and maybe the AM335x used in the BeagleBone Black -- although other people seem to maintain a source tree for that, so maybe not. Linux-sunxi.org, which seems to include the kernel devs who do the implementation for the A1X chips, have a decent wiki that covers what works on various devices. Elinux.org, which provides a lot of coverage for the rpi, also covers other similar things. Although Android uses the linux kernel, I would avoid devices that are android centric...having written software for Android, I think it is a nice OS but not something very suited to development or experimental use. Installing Hamachi -> really a general linux question. Unable to use time lapse feature with RaspiStill -> legitimate pi oriented question. RPI used for accessing local non-vpn ethernet devices thru remote by VPN -> Although this does not mention any OS and thus an answer does not necessarily have to include linux, it almost certainly would for the pi, but still not be pi specific. Start “getty” service in Raspbian to Login to Pi using Serial console -> is certainly a general linux question. Stream (or Airplay) between 2 Raspberry Pi's? 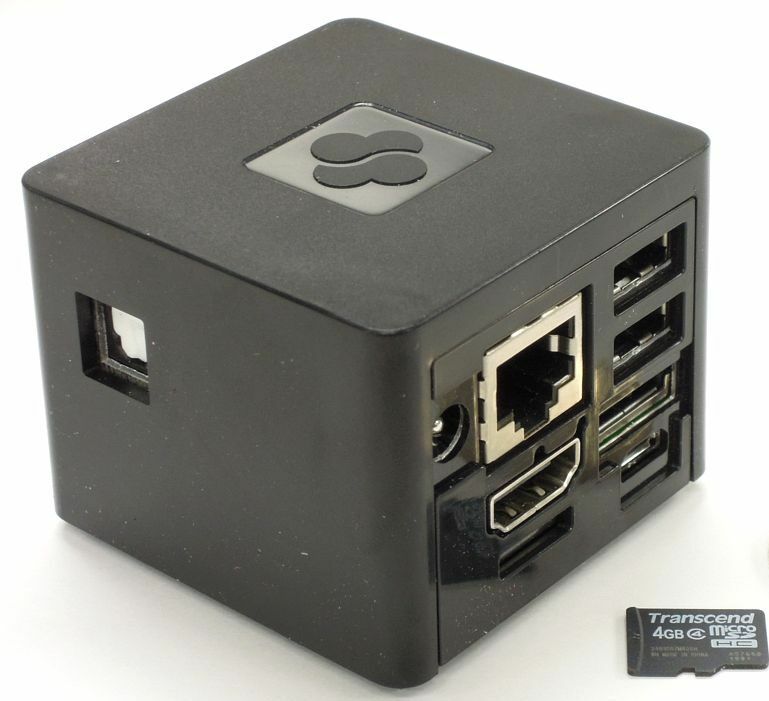 -> RaspBMC is a minified debian, and this is really a general linux question. Connect RPi to Ad Hoc network -> Although this also does not mention an OS beyond the Windows laptop, I think again it is safe to say it is a general linux question (and/or an even more general question about networking). My point is not that these questions don't belong here, but that 5 out of 6 of those could easily be answered by people from the larger GNU/Linux community, who may have no particular interest in the pi; the same is true WRT "support" for other devices. Of those five, at least 4 (all except the RaspMC one) would probably be better dealt with (as in, get faster, higher quality answers) in a more general forum...I presume that people ask about stuff like this here because the pi is their first encounter with linux, and they are unaware of this. There are obviously many more powerful alternatives to the Raspberry Pi. However, if you want a board that is significantly more powerful and runs Linux, then I would recommend that you take a careful look at the Parallella board (http://www.parallella.org/). 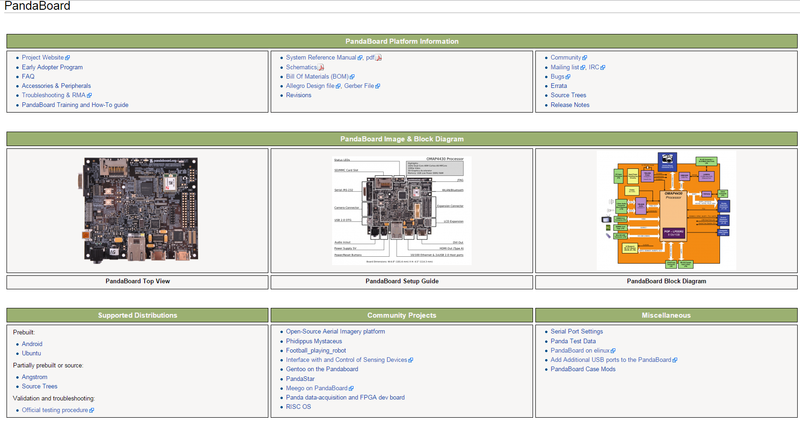 It is still very new (it was a Kickstarter project which still hasn't shipped boards to all of the original backers), but there is quite a large community of people behind it, and it runs Ubuntu Linux, which is a slightly more slick version of Debian. 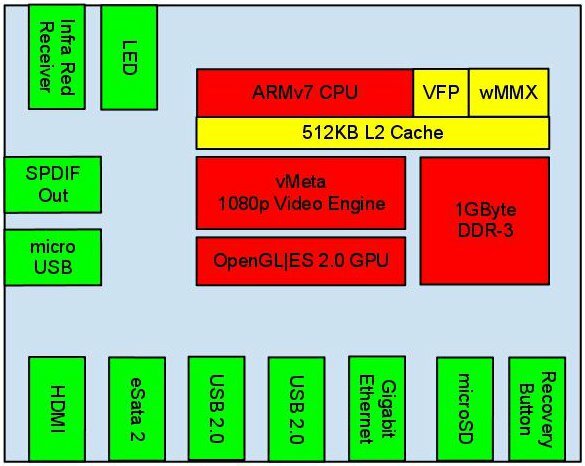 It has a many-core co-processor and an FPGA in addition to a dual core ARM main processor that is rather more powerful that that of the Raspberry Pi. However, you probably shouldn't expect that any other low cost Linux computer has the same kind of support and community that the Raspberry Pi has - nearly two million Raspberry Pis have shipped - it is unique in that respect. A decent media streaming box called cubox is a decent alternative because it includes dedicated Gigabit network, eSATA and HDMI! That means streaming to other machines ot TV's at home over LAN is a breeze but also using it to watch from a NAS is great. It fits in the palm of your hand! 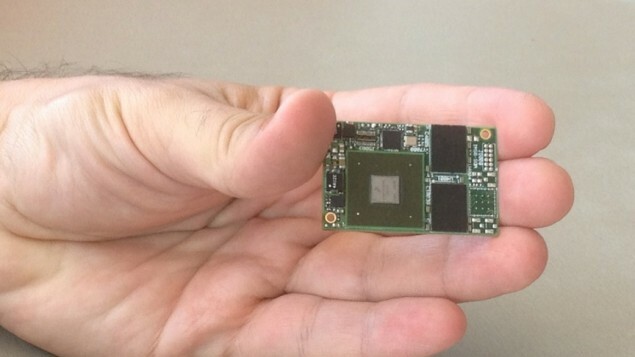 Board: Marvell Armada 510 system on a chip. Video/Audio HDMI and SPDIF optical audio. Storage Micro SD default 2GB. Connectivity 10/100/1000 Ethernet. Two high-speed USB host ports. E-SATA, microUSB device port for development uses. Unfortunately, prototyping on this is not really possible.. Although im answering bit late but you can also check out banana pi. It runs android , ubuntu , debian and is made in china. I have tested this with android 4.2 and it worked fine . There's a review of several single board PCs here. I'd recommend the Cubieboard2. There are three different models, which you can find here. Why not take a look at Tronsmart MK908, or some other Android stick with Rk3188 (quad core A9 CPU & quad core GPU)? It is a lot faster than raspberry pi. It fits in the given price range and it runs 1080p. Afaik, you can run Picuntu Linux on it. I'm not sure about the community support though. Note that psu, wifi, cables and case are included in the price. See also at Olimex with her OLinuXino - Open Source Hardware Boards series of cards. Not all have HDMI but there is a choice. Although not a Raspberry Pi alternative, you can also look into Raspberry Pi SuperComputer. It uses two or more Raspberry Pis using a message-passing Protocol for parallel processing. It is scalable unto 64 Raspberry Pis. Some tests on the Internet show that it does provide a good amount of performance improvement. At a little more than US$100 you can buy 3 to 4 Raspberry Pis. This is an old (but still relevant) question. You are asking about a dynamic market, with new single board computers (and new versions of Raspberry Pi) being introduced every year. I suggest starting with Wikipedia's https://en.wikipedia.org/wiki/Comparison_of_single-board_computers. You can then branch out to vendor sites for boards that meet your needs. Is there a serious alternative to the Raspberry Pi that includes Gigabit Ethernet? More free raspberry Pi alternatives? Stream (or Airplay) between 2 Raspberry Pi's? What are the kinds of (useful) things could I do on a raspberry PI?